Are you planning forward to do a DIY garage floor epoxy installation? Well, if you do, then you need to know the most common mistakes that a lot of people do when applying a garage floor coating. These mistakes cover 95% of all problems related to either appearance issues or epoxy floor failure. Day after day, a lot of people install their own garage floor coatings. With great success. 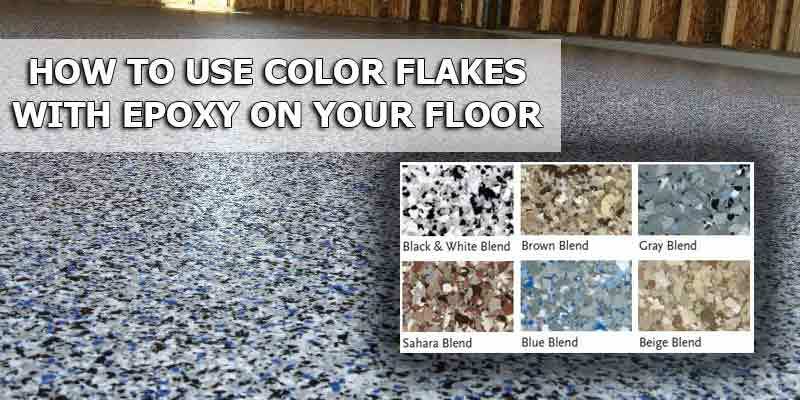 After the anticipation of creating a well-coated garage floor, however, no one wants to go through the hassle created when the floor doesn’t turn out like they wanted. This is the most common cause for epoxy floor failures and or bad finishes. A lot of time when doing an epoxy garage floor coating for the first time, people underestimate how important is to prepare the concrete properly. After all, it requires more than just cleaning the concrete thoroughly. Epoxy will not adhere to a smooth surface. The surface needs to be free of all waxes, oils, and other contaminants. The concrete’s pores need to be opened up properly as well. At a minimum, it will require acid etching. The better option is to grind the concrete. However, it is not always feasible for the most homeowner. The most common problem that is associated with poor floor preparation is the peeling of delamination of the epoxy. Another problem is the fisheyes. It is created by the contaminants in the floor, such as oil or grease, that causes the epoxy to pull away from the concrete during curing. It forms a circle in the finish, resembling a fisheye, hence the name. Contrary to what a lot of people assume, a new garage floor will need the same preparation as one that is 10 or 15 years old. This mistake typically happens from not allowing the concrete to sufficiently dry after acid etching. Depending on the humidity and temperature, you will need to allow for a minimum of 24 hours for the concrete to dry. Sometimes, even longer. If you don’t, moisture that is still trapped in the pores of the slab will rise to the surface. It then creates bubbles in the finish. Yet, some of the water based epoxies and primers allow for application to concrete that may still be damp. To make sure, you can contact the manufacturer for further information. Another mistake is not conducting a moisture test. Moisture under slab can create a hydrostatic pressure that will actually cause the separation of the epoxy from the surface. And sometimes, taking pieces of concrete with it. Avoiding this mistake is simple. Just do a moisture test first to determine if the floor is suitable for an epoxy coating or not. If you stretch the epoxy out in order to cover the entire floor when you are running low, will result in areas with a distinct difference in color appearance and a much less glossy surface. And yes, it creates a weaker coating. This is a common mistake that is made with the single coat epoxy paint kits (for examples, such as those from Quikrete and Rust-Oleum). However, it may also happen with premium epoxy products as well. Let’s say that you have a 400 square feet garage floor. And, you purchase a kit that has 300 to 400 square feet coverage rate. In this case, you will not have enough epoxy. Why? Because a properly prepared floor is porous. Thus, will absorb some of the coatings. In other words, you will run short. Many of the manufacturers said in the fine print that you can expect up to a 15% material loss because of the product left in the container as well as first coat applications. Most DIY installers, however, are not aware of this. Avoid this problem by ensuring that you don’t underestimate the amount of epoxy that you may need. Also, when pouring the freshly mixed batch of epoxy onto the paint tray or the floor, don’t try to get every last drop from the mixing container in order to get the optimal coverage rate. Why? Because the very bottom and sides of the container are never fully mixed. If you do so, it can result in spotty areas of the coating that will remain soft and not harden. There are a lot of problems associated with improper mixing. The most common being is the mixing too fast with a paddle mixer and trapping air in the epoxy. If this situation happens, you will get air bubbles in the surface during the application. Avoid this by not running the mixer too fast near the surface creating a vortex and sucking air in. Also, don’t pump the paddle mixer up and down. Other issues are not mixing the Part A resin and Part B hardener correctly. Or, getting the ratios wrong. Pay attention to the mixing instructions. Some of the epoxies require the newly mixed batch to sit for a specific amount of time before the application. This is known as the induction time. If you don’t allow this, the epoxy may not harden and cure properly. Make sure that you follow the manufacturer’s recommended instructions for humidity and temperature. Epoxy applied at low temperatures or below the recommendation may not harden and cure properly. If you apply epoxy in high temperatures, the pot life may be reduced by half. Possibly, even more. This can make the epoxy unworkable before you can get it all applied. It can also create bubbles from outgassing caused by the warm temperatures. On the other hand, high levels of humidity can create a microscopic layer of moisture at the surface of the concrete that you can’t see. This will cause adhesion issues that can lead to peeling or delamination of the epoxy. Not only that, high levels of humidity can also cause some epoxies to blush too. Having a successful floor coating isn’t that hard. A lot of the mistakes can be avoided rather easily, provided that you read the manufacturer’s instructions thoroughly. If in doubt, it is best if you contact the manufacturer to get clarification or further information. The majority of problems that are associated with epoxy coated garage floors are caused by the mistakes above. Now that you know it, it will be easy for you to avoid them.